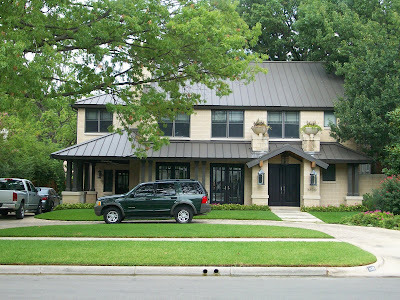 I love a Mission style look and this one is a new house built in that style, that I think is done really well. I love the metal roof. Not sure how I feel about the planters sitting on the columns on either side of the front door. But, overall, it's a really clean but detailed look that I love.